Storing keepsake papers, awards, report cards, artwork, etc can become overwhelming as a parent. Ideally you’d like to keep everything, but realistically that’s probably not possible. 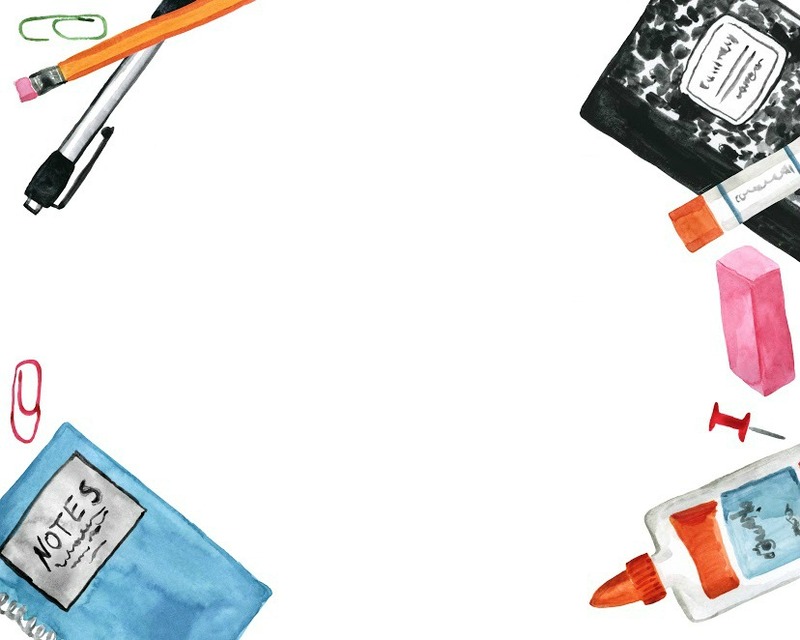 I’d like to say I’m an organized person, but in all honestly, I’ve always struggled with paper clutter and what to do with my children’s “stuff”. For instance, I had papers stashed in my office, the kitchen, their rooms, and even the garage. With that said, I’m working on this organizing project to get myself motivated to identify the BEST pieces to hold onto, and so far it’s working! This easy filing system of keeping only the very best memories of each school year, and storing them all together in a plastic hanging file bin for each of my kids, has been a helpful idea that’s working out awesome for us! Today I’m sharing these FREE printable labels and cover sheets to print and organize a hanging file bin for your kids! 1.) 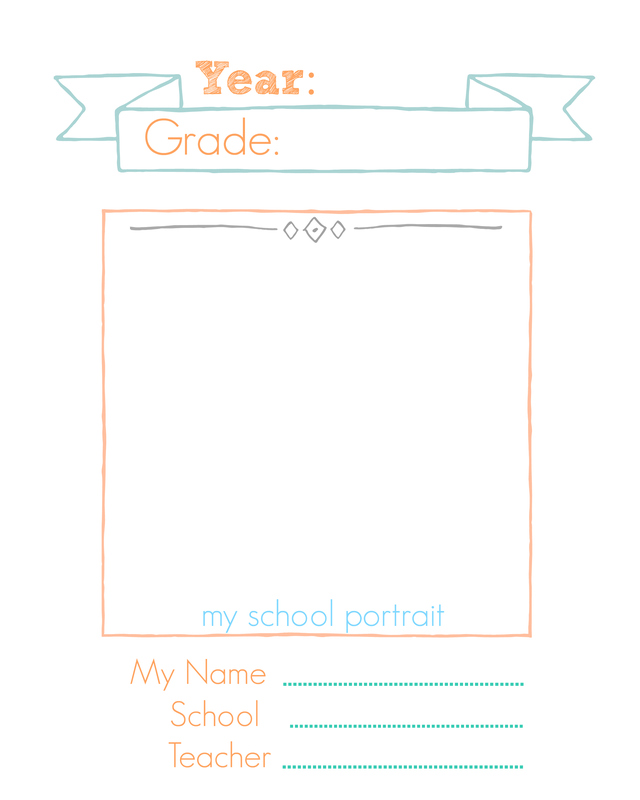 Fill out the hanging file cover sheets for each grade including year, teacher, school, etc, and attach a school photo for each year. Glue or tape to front of a hanging file. 2.) Attach labels for each school year to file folders. If desired you can create multiple file folders for each year and separate in different categories such as schoolwork, artwork, awards, etc. File papers according to each grade level. 3.) Label bin with your child’s name. Feel free to use a marker, or save this blank label with school supply border and open it in an image editor to add text. I used PicMonkey.com, an online editing tool to add text to images. The font pictured is called Yesteryear. I love that this school paper storage system is really easy to keep up with once you have it all setup! Honestly I wish I would have done this years ago when my first child started school! I love looking back at all the special writing assignments and memories, and know they will to in the future. Receive weekly updates from Lina's DIY projects and recipes. I love this and NEED to start it now. My daughter starts K in the fall. Yes I wish I would have! I purchased six boxes from wayfair for around $50. Thank you for this! My son started kindergarten last fall and I have been curious about a good way to keep his artwork. This is perfect! Thanks for the tip. I do something similar but without the pretty labels. It’s crazy the amount of school paper we have accumulated and my daughter is only in kindergarten. It’s tough choosing what to get rid of and what to keep. I did this years ago and SO GLAD I did. We had a house fire on Christmas Eve and the water damage was unbelievable – my kids’ School stuff was saved by being in plastic containers! Don’t wait to do this! Oh this might be perfect for my homeschool portfolios! What an awesome idea!! Thanks so much–I’ve got disorganized buckets full of papers, etc; the labels alone will be a terrific help! Wow! Thanks for the post! My TK daughter has started accumulating lots of artwork & we weren’t sure how to organize it. Originally, I got the large memory books to file away the nice artwork, but this method seems more space-saving & practical–with cute labels. Thank you! I did something similar….1 giant 3 ring binder per grade/year. Punched holes and inserted. The binder limited the amount, so I was forced to weed out (or I would keep everything)! I have heard of others who take photos of artwork/papers and make a shutterfly book also. I do the binder system too, but start out with the crate. I just chuck it in a crate with file folders for each month of school. At the end of the school year I weed through it and the keepers go into the binder. I did this last year and love how i can keep it all organized! Yes I struggle with this also. Great idea! Where did those cute hanging files come from? Years ago, I bought each of my kids a 20×26 inch expandable plastic art portfolio from Michael’s. I liked the larger size to accommodate the larger drawings and paintings from elementary school. I have their smaller papers (creative writing pieces and award certificates) in there as well, it holds a LOT! They are now middle school and high school. I do something similar but have a hard time choosing the “best” artwork. . . my solution is to take pictures of everything (and then toss the papers) and make an Art Book on Shutterfly. That way I don’t feel guilty about throwing something away that my child made. What a great idea! I saved every single paper from my first child and now that he’s in 3rd grade and we’ve had two more kids, it’s time to de clutter. I’m going to make this my project to get their school papers organized! Awesome! I need to add to mine again now that school is almost over! No actually – my son is also in 7th and I went back through multiple boxes to file things for him. It made me feel better to have it all together in one and only kept the best pieces. I have had this saved to my HipList for almost a year trying to get it together to do this! I’ve been searching for boxes, and then discovered you linked to Amazon for the ones you used. They’re not available from (shipped) by Amazon currently, and the cheapest vendor was selling them for approximately $18.00/box with free shipping. I copied and pasted the name of the ones you suggested and found them at Target for about $6.50 each! WOOHOO! I bought two! One step closer to getting this project going! Thanks! yay that is wonderful! Happy Organizing!